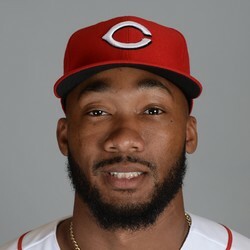 Amir Garrett was forced to leave Friday's appearance with an Achilles injury. He's considered day-to-day. It was later determined to be a mild left Achilles tendon strain. X-rays came back negative. Garrett has been a contributor in holds leagues with 18 on the season, especially in those leagues where his SP eligibility is a benefit. He has an ERA and WHIP of 3.73 and 1.09 on the year.